The ‘Oscars of the travel industry', the World Travel Awards, recently revealed their global winners, naming a Greek lodge as the greenest on the planet. One Greek resort became a winner at the World Travel Awards Grand Final, which took place in Lisbon on Friday. For the second year in a row, Aristi Mountain Resort & Villas was named World’s Leading Eco-Lodge, spotlighting the country’s efforts at sustainable development within its hospitality industry at the prestigious award ceremony (which insiders have nicknamed the ‘Oscars of the travel industry’). 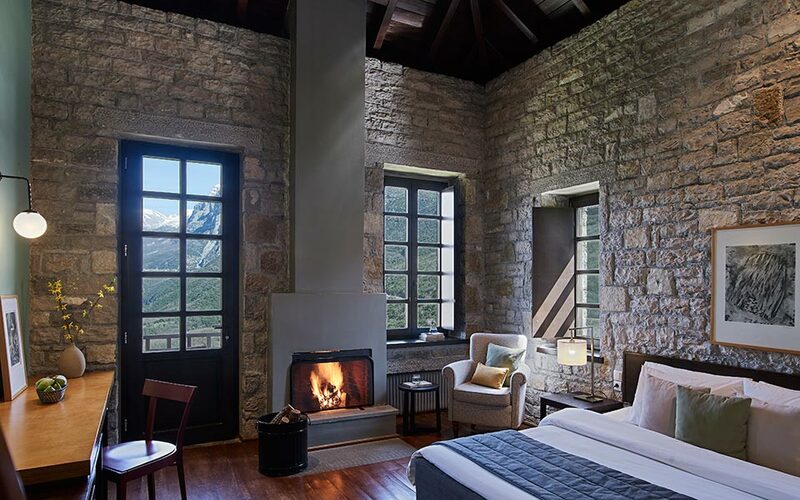 Built in the highlands of Greece’s northwestern region of Zagori, the Aristi Mountain Resort & Villas blends with its natural, verdant surroundings by maintaining the classical architectural aesthetic of the surrounding villages – a gray and brown stone exterior with natural slate and wood roofing. Yet, despite its modest exterior, the resort is forward-thinking and advanced in its efforts to become more sustainable. A high-tech system cleans waste water, minimizing its harmful impact on the environment; heat pumps diminish the need for heating oil; and the resort is now striving to reduce its use of plastic and ‘extras’ by purchasing products with little-to-no plastic or other frivolous packaging. The resort also plans to eliminate all single-use plastic water bottles and plastic straws on its property and on guest excursions by mid 2019. Rooms and villas are decorated with modern furniture and working fireplaces. The restaurant serves local Epirote dishes, made from produce grown in the resort’s garden and greenhouse. It also has spa facilities, as well as a number of unique excursions to offer, as a result of its cooperation with various alternative recreational tourism companies. The resort considers itself a starting point for hikers, nature-lovers and anyone interested in visiting the Zagorohoria villages. 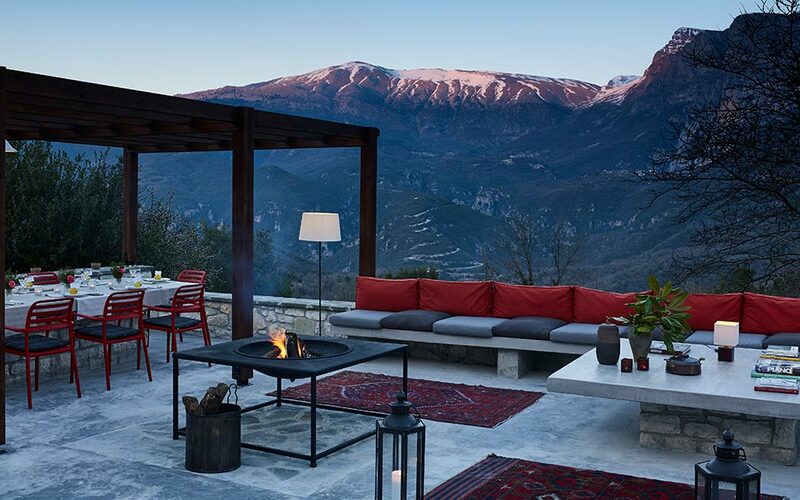 The resort’s owner, Vasilis Iosifidis is also the co-founder of ZEN (the Zagori Excellence Network), an institution that promotes tourism in Zagori whilst preserving the region’s environment and biodiversity through green practices. At last year’s ceremony, Iosifidis said he was “proud to represent the Greek mountains,” an aspect of Greece that is often overshadowed by the country’s better-known seascapes and sites of ancient ruins. Earlier this year, during the European leg of the World Travel Awards, Greece garnered 15 titles – six more than last year.